Llanddulas is one of the ancient parishes of Denbighshire. Until 1878, the parish consisted of the two townships of Tre'r Llan and Tre'r Cefn, containing 606 acres. In 1878, 636 acres were taken from the parish of Abergele and added to the parish of Llanddulas. The church was founded by St. Cynbryd; and was mentioned in the Norwich Taxation of 1254. The list of Rectors dates from 1284. 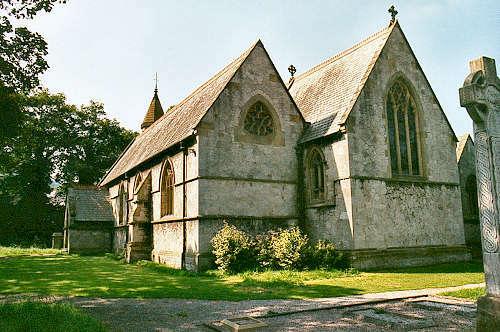 The early church building was ruined by a great storm in 1732; when a new building was erected. By 1868, this was itself "in a ruinous state", and was demolished. The foundation stone of the present church was laid on 2 July 1868, and the Bishop of St. Asaph consecrated the church on Monday, 24 May 1869. For family history information about the church and parish, visit the GENUKI Llanddulas page.